Germany DFB Cup 3rd round match with Mainz and Stuttgart team for Turkey on Tuesday 12/19/2017 Time 17:30 They come face to face with Opel Arena. Sandro Schwarz ‘s students managed to go on to a higher round by defeating Lask Hansayi 2 – 1, Holstein Kiel 3 – 2 in the German Cup. The current opponents are Stuttgart. They will want to win this game in front of their own spectators and go up to the next round. They can pass this tour with a complicated game. In the German Bundesliga, Mainz had 4 wins, 5 draws and 6 defeats in 17 encounters so far. They scored 19 goals and scored 28 goals. 17 points and 15th place. They have the same punch as Stuttgart. I am very controlled and expect a match in the middle. The team that scored the first goal will have a serious advantage. 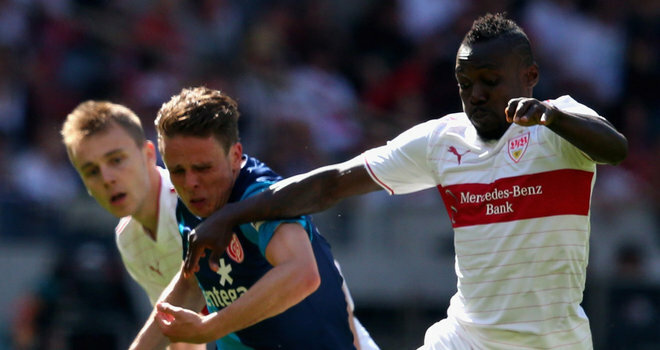 In Mainz the spectator will start with a dominant tactic in front of the match. Stutgart is a guest at Maniz. Germany Dfb Cup 3rd place match with the order of Cotbus’u and Kaiserslautern’le came to squeeze. Stutgart did not win any of the last five official games, even the last four official games they lost. Things do not go well for them. They will want to pass the tour and win morale and reflect this increasing momentum to the league. I would also like to point out that the last 5 official matches are under 2.5 goals. In Germany Bundesliga they have won 5 wins, 2 draws and 10 defeats in 17 encounters. 17 points and 14th place. Up to two goals will be scored in the match. Therefore, the prediction will be that the game will result in under 2.5 goals.